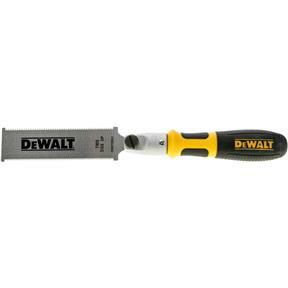 With a flexible blade for cutting plugs or dowels flush, the DEWALT 23-Points-Per-Inch Flush Cut Pull Saw cuts quickly and cleanly on the pull stroke. The saw also features a double-sided blade for convenient cutting to the left or right, and a comfortable handle contoured for maximum control. 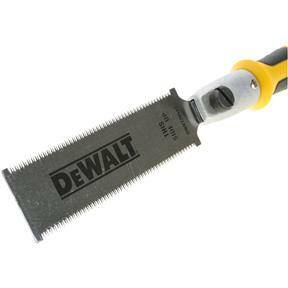 This saw is an excellent choice for trimming through tenons or lap joints.